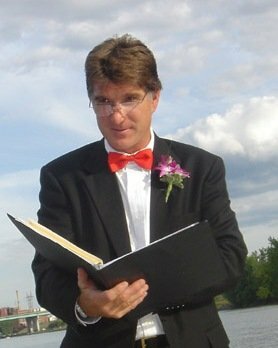 A professional and experienced officiant can make all the difference in having the wedding of your dreams. Together let’s create a one-of-a-kind ceremony that genuinely reflects who you are as individuals and as a couple. I have served as a Justice of the Peace in Connecticut for over 13 years and have performed many types of ceremonies, from large formal weddings to small casual affairs. My officiating style is relaxed and fun, my goal is to make your wedding day as stress-free as possible. I offer various wedding ceremony packages to ensure you receive exactly what you are looking for. Contact me today to find out if I am the right fit for you. It is my personal goal to always exceed your expectations. I look forward to hearing from you!